Remember the popular restaurant Cure on Keong Saik Road? They’ve got something cooking up their sleeves this 2017. 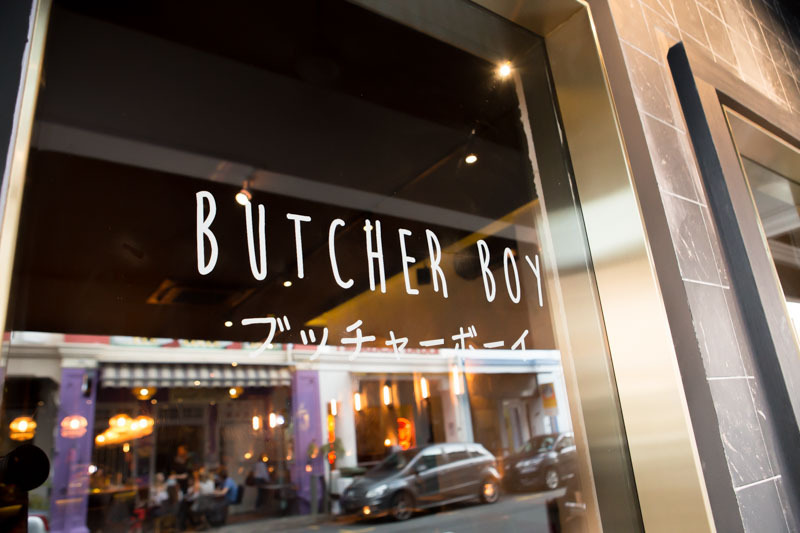 Chef-Owner Andrew Walsh is proud to present Butcher Boy, just two doors down from its predecessor on 31 Keong Saik Road. 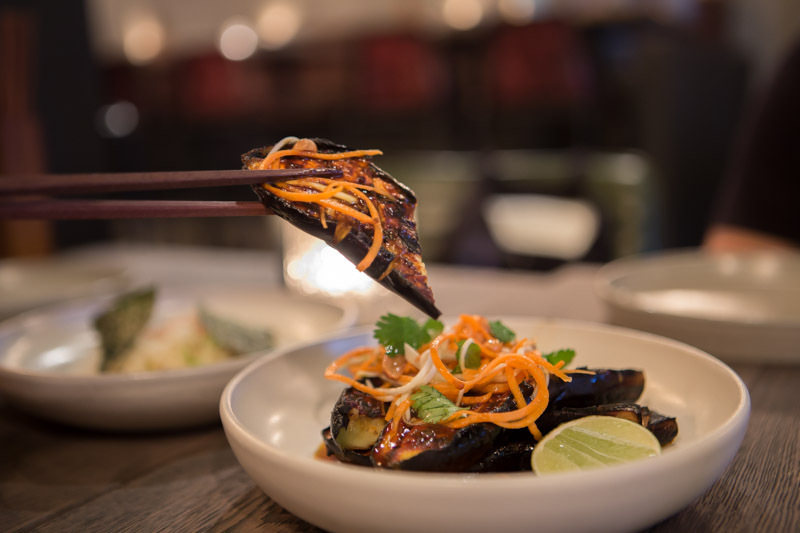 It is a stunning Asian fusion grill and bar featuring the concept of social dining and communal food sharing. Need a break from all that hustling? You’ve come to the right place. Soak in the chill vibes and unwind in the soft lighting while you dine in style with your favourite mates. 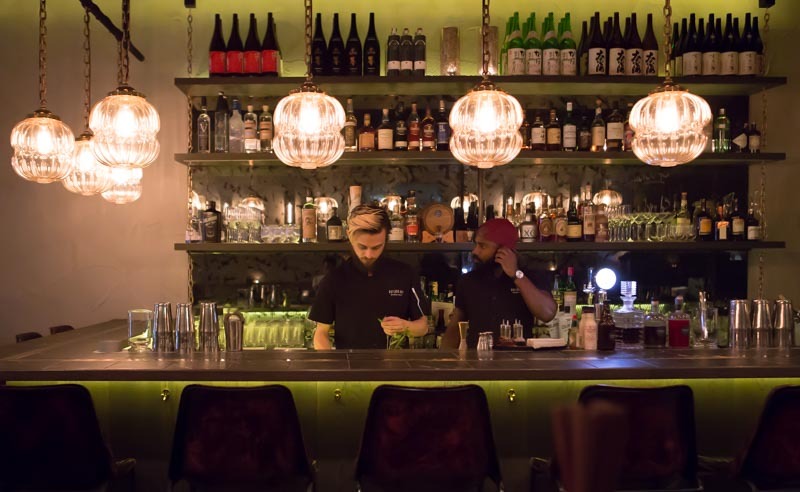 Start by lounging at this incredibly posh bar counter as the bartender stirs up a couple of wicked cocktails. Going for the bold and strong spirits? Look under the ‘Naughty Boy’ selections in the comprehensive menu. Feeling a little adventurous? Pick something from the ‘Pickle Boy’ selections instead – you’ll find yourself with something pickled straight out of the kitchen. Yes, we’re being serious here! 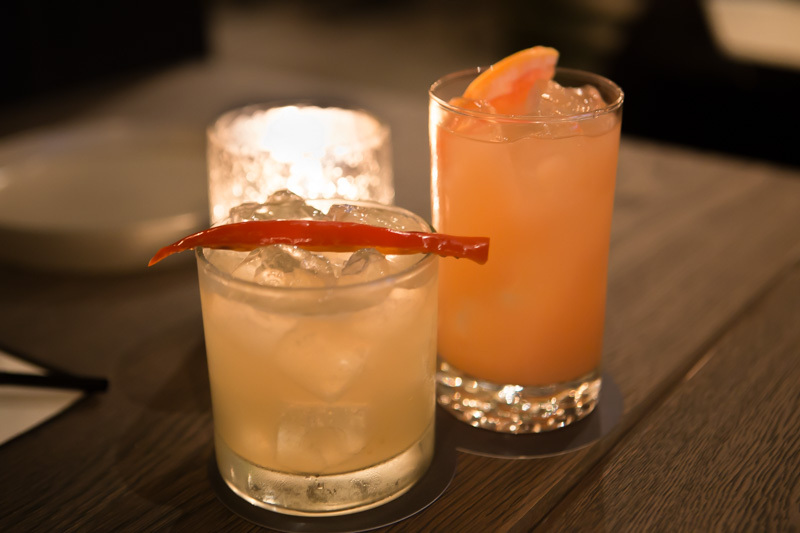 We got ourselves started on the Salty Boy ($16) and Whiskey Charlie Mango ($22). Let’s just say I couldn’t even begin to comprehend how such peculiar combinations of cocktails could taste so perfect. The Salty Boy had a citrus zesty flavour that paired well with a splash of saltiness from the Thai pickle. As for the Whiskey Charlie Mango, who would have thought that the spicy aroma of the chilli would go so well with whiskey and mango cordial? If you’re not already even a little intrigued by what Butcher Boy has to offer, wait till you see the food. First up was the Hamachi Sashimi, Soy, Tokyu Turnip ($22). 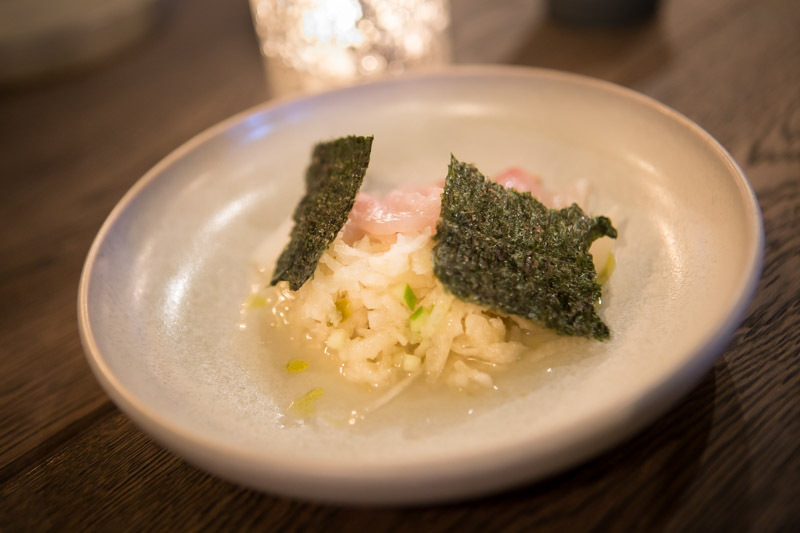 The fresh sashimi was topped with crispy seaweed and crunchy pickled radish, giving rise to a wholesome texture to munch on. We were totally digging the robust flavours of the sea that left a savoury aftertaste with a touch of sweetness from the Tokyu Turnip. Who said that satay can only be eaten one way? 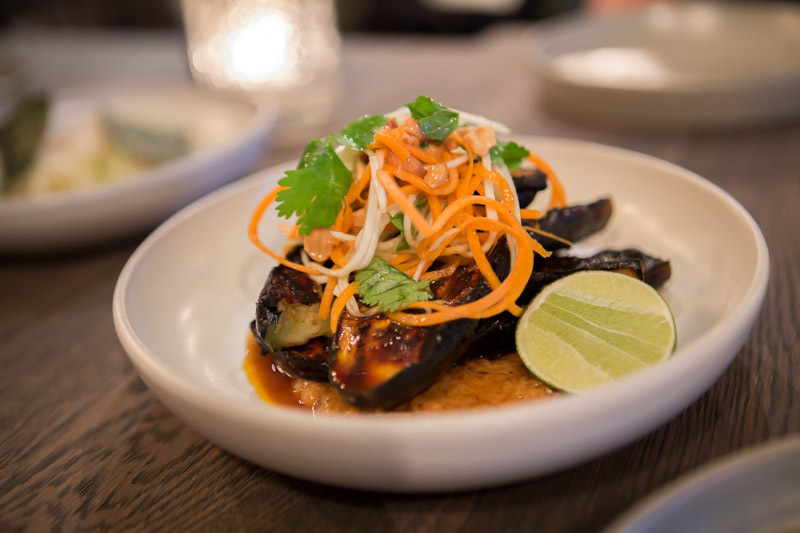 We gave the Aubergine Satay, Green Mango, Coriander ($18) a try and could see why this reinterpretation of the local satay dish was capturing the taste buds of many. The outsides of the aubergines were slightly charred to give off a smoky taste. When dipped in the lime satay sauce and paired with the refreshing Thai mango salad, it was indeed a surprisingly delightful combination that was a great way to start the meal. The signature of the restaurant and also one of my favourite dishes here had to be the Fried Chicken, Yuzu Kosho, Kewpie, Bao ($18) and the Duck Banh Mi, Liver Pate, Sriracha ($18). 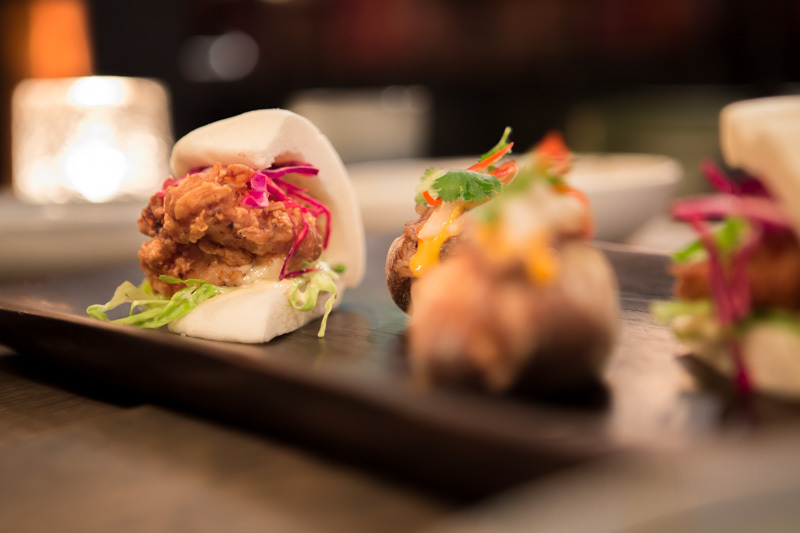 The chef’s rendition of both of these traditional Asian dishes was the ultimate indulgence. The buttermilk fried chicken was super crispy on the outside yet juicy and tender on the inside. 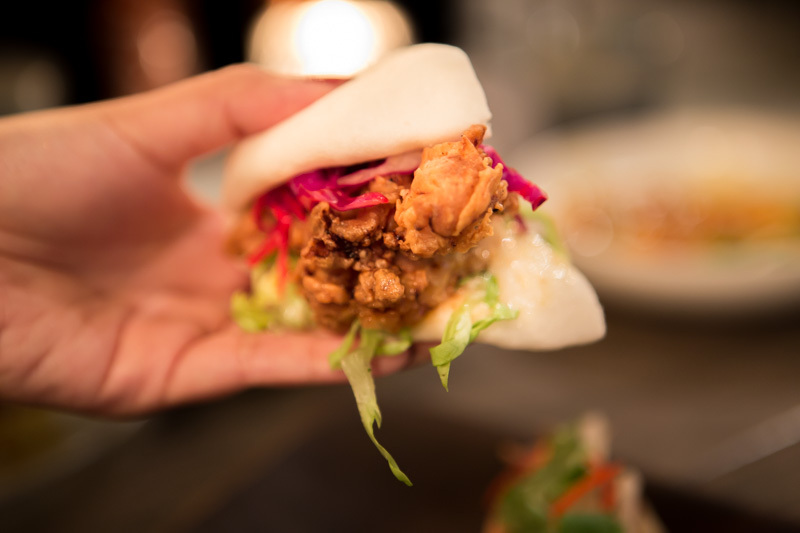 From the fluffy texture of the bao to the tangy onion sauce and chilli pepper added for that extra oomph, this dish deserved nothing less than a standing ovation. Familiar with the regular Vietnamese Bhan Mi? Here, they’ve shrunk it down to bite-size and made it way better! Listen to the crunch of the toasted bread when you first bite into it then let the flavours of the savoury duck slices, daikon and liver pate work their way through. I’ll definitely be coming back for this. While I’m not usually a fan of anything beetroot, the Beetroot, Burrata, Kale, Walnut ($12) has surely swayed me a little bit. 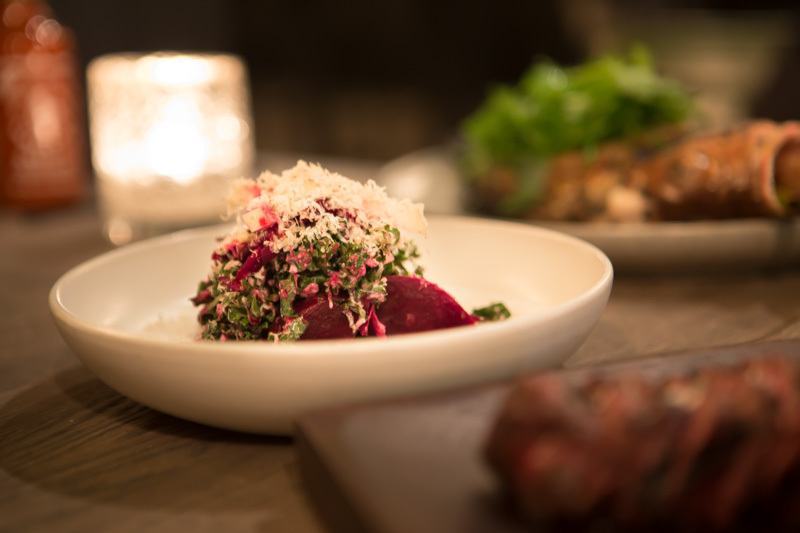 The salt-baked and pickled beetroot had a light refreshing taste that brought out the flavours of the whipped burrata. This was a subtle dish and quite different from the rest of the menu, serving as a great palate cleanser for a mid-meal boost. On to the highlight of the meal, the Black Angus Tender Valley Rib Eye ($42 for 250g). This is a dish you’ll not want to miss! Check out the pink hue of the meat wrapped in the slightly charred outer layer, grilled to perfection. Ready for that extra kick to this succulent serving of meat? 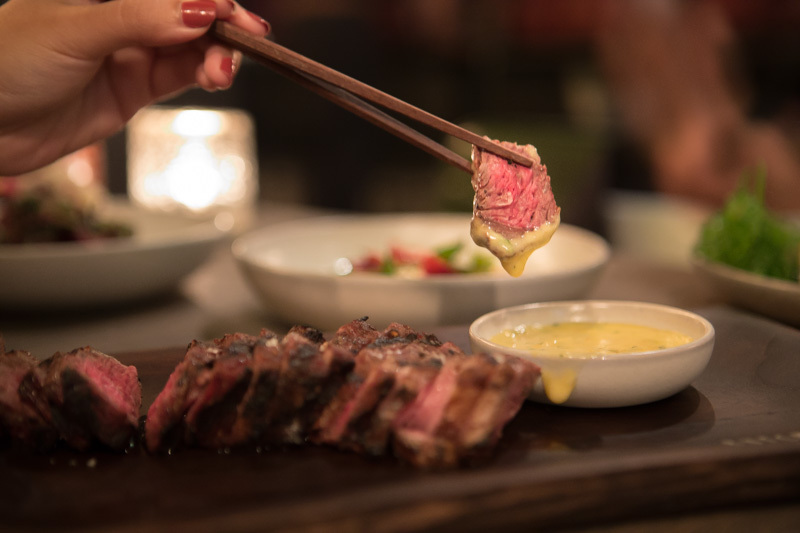 The dish is served with five different types of sauces (Sambal, Black Pepper, Vietnamese, XO Sauce and Yuzu Bearnaise), crafted to ignite your palate. Did anybody say dessert? 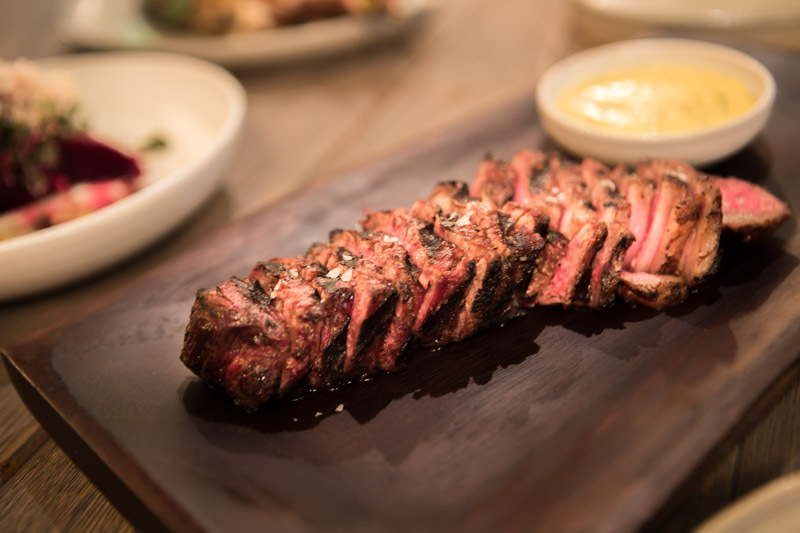 Butcher Boy serves up some classic favourites with a modern twist in the impressive selection of post-dinner treats. 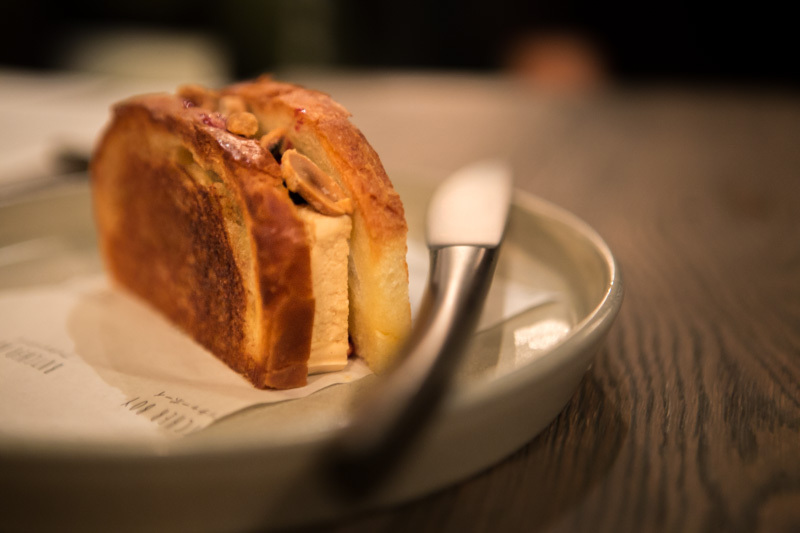 Just take a look at this unassuming Peanut Butter Ice Cream & Plum Jelly Sandwich ($10). The thick and creamy in-house peanut butter ice cream paired perfectly with the tangy plum jelly and was finished off with yummy peanut crunch on the top. Savour the mixture of flavours as you take a moment to appreciate the simple pleasures in this reinvented dish. 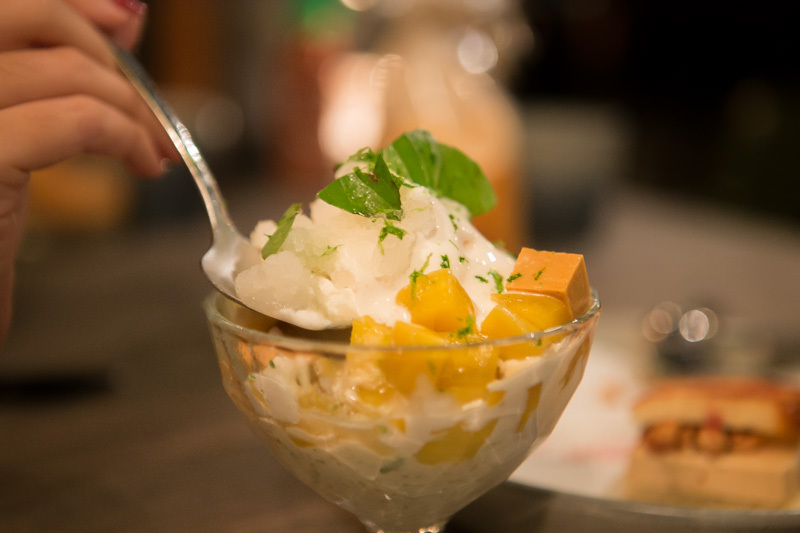 We also highly recommend the Coconut, Thai Rice Pudding, Mango ($12). This vibrant tropical dessert is sure to leave a lasting impression with its splendid synthesis of the sweet lychee granita, Thai milk tea pudding, Thai sticky rich and rich coconut ice cream. We loved the intense flavours of every single component, something that’s hard to find these days. About done with your meal? Round it off with the Street Side Milk Punch ($18) on-the-go! Do not be deceived, this is nothing like your regular milk tea. 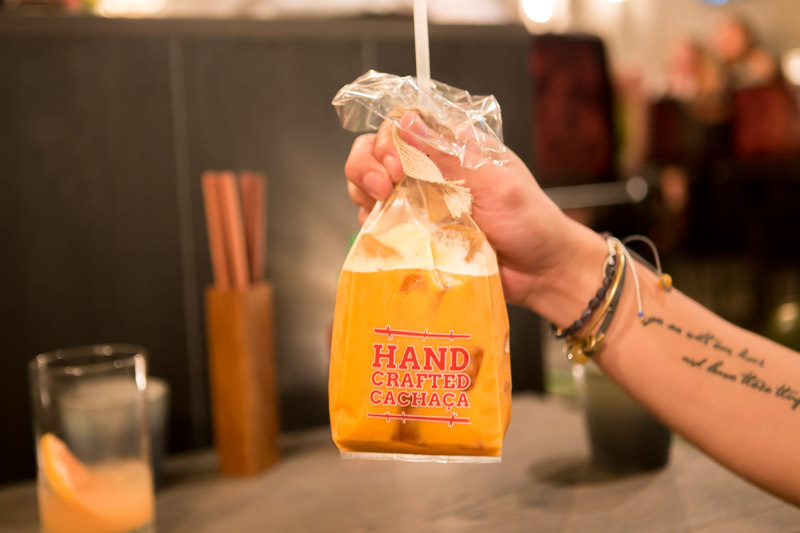 The strong concoction of cachaca paired with a dash of salted caramel might actually knock you out, for real. 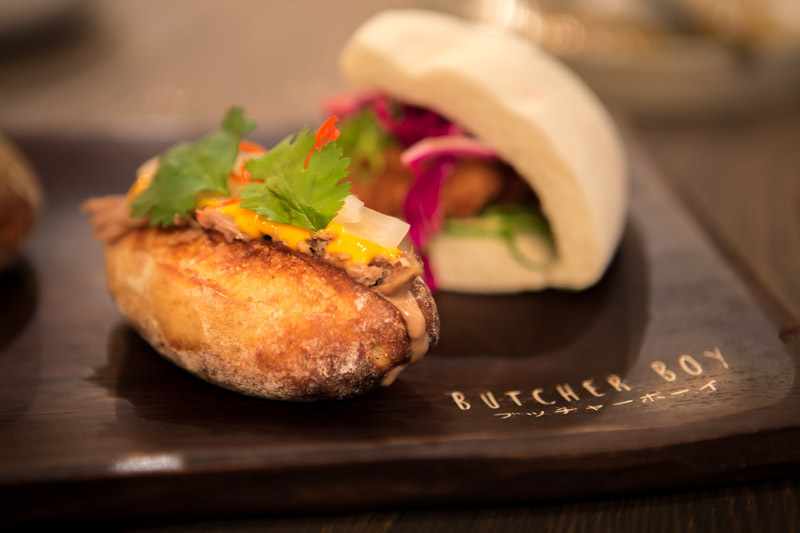 You really have to give it up to Butcher Boy when it comes to nailing Asian fusion cuisine. 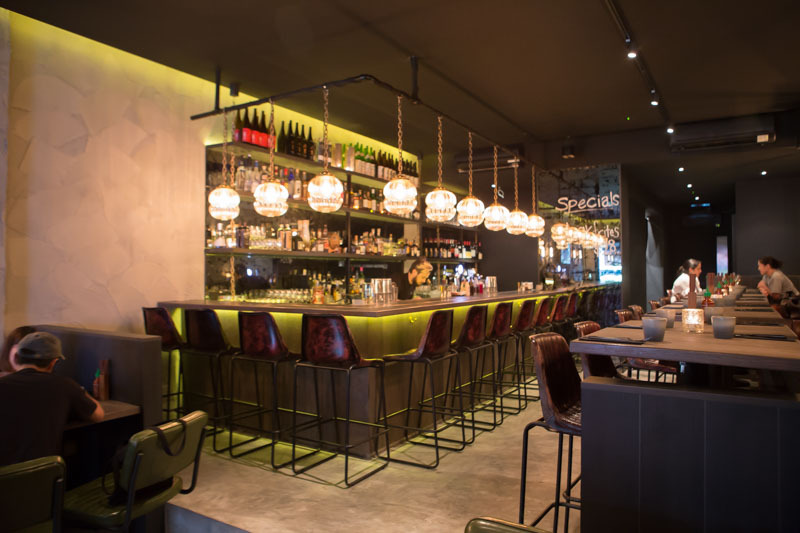 You’ll find a good mix of different Asian flavours with a tactful spin on the modern dining concept. 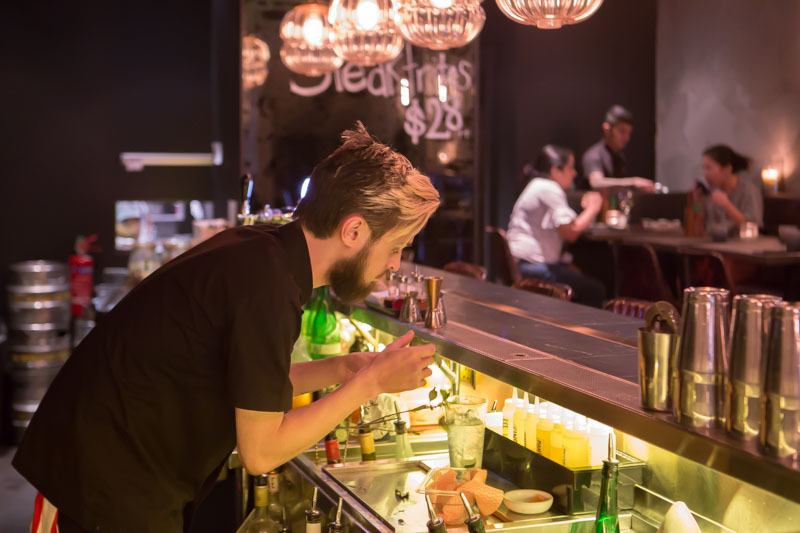 Every aspect from the preparation to the presentation of the food and drinks was handled with such meticulosity, you’ll be hard-pressed to find a more exquisite dining experience.